Of more than thirteen million single parents with custody in America, around ten percent have informal child support agreements. What about child custody? More than a quarter of those under the age of 21 lived with just one custodial parent. Whether you are a mother, a father, a step-parent, or a concerned grandparent, divorce and ensuing custody battles can put you through the emotional ringer. You want the best for the children and whether you believe that the best-case scenario is that you have shared custody or sole custody of them, or that you have access via scheduled visitation, legal expertise can be important. Despite your best efforts to keep things amicable, you might have a former spouse that is unwilling to be amicable or fair. Or, you might have very real concerns about the safety of your child(ren) and in that case, you might want to fight for full custody or revise existing arrangements to ensure your child or children are safe. When there’s domestic abuse, drug or alcohol abuse, or another serious concern, you might have no choice but to seek sole custody or to temporarily have visitation restricted until your partner shows the level of maturity and responsibility required. If your former partner is fighting you on that, it’s important to have solid legal expertise in your corner and to follow your attorney’s advice on how to handle any communication with your former partner. When things are amicable enough that an agreement can be reached about visitation, child support, and / or shared custody, that’s obviously the best-case scenario for the children involved. Sadly, it may be that you are being treated unfairly and need help ensuring your rights aren’t ignored. It could also be that your former spouse has the child or children with them at this point in time and are not treating you fairly. It’s never a bad idea to get legal advice, even if you can come to an arrangement without having to involve a judge. Knowing your rights and responsibilities is essential. Do you have concerns about the child’s safety due to drug or alcohol abuse? Are you worried the child isn’t adequately supervised? Do you have safety concerns about people your former spouse is spending time with? Is one parent talking about moving far away and you want to know your legal rights with respect to geography? Are you an extended family member, such as a grandparent, who isn’t being granted reasonable access to grandkids? Are there problems with child support payments being made on time? Are you and your former partner unable to come to an agreement and need legal intervention to outline a visitation schedule or custody arrangement? Is your former partner not sticking to the arrangements you’ve previously agreed upon and / or are they making communication difficult? Do you need to make modifications to your arrangement and your former partner refuses? 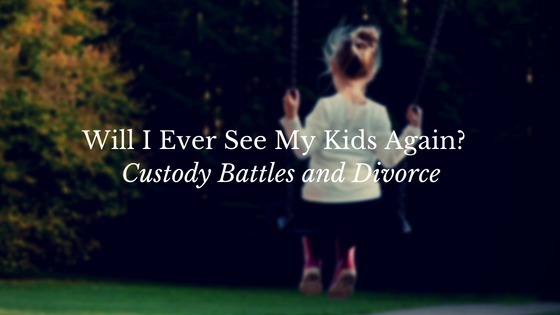 It’s stressful and costly to have a lengthy child custody battle, and sadly, sometimes it’s unavoidable. But, it doesn’t have to be a necessity. Mediation could provide a way of handling shared custody and / or visitation schedules as well as other matters such as child support payments. In this case, both parties with their legal representatives meet with a mediator and an arrangement is hashed out, keeping legal costs down and helping expedite the process. Whether you prefer to keep things amicable or you have concerns about legal costs, getting a free legal consultation could help you move forward and find out about your rights, your responsibilities, and about the potential costs associated with court battles over custody and / or visitation. If necessary, a motion can be filed to help you exert your rights and / or protect your children. Contact a family law attorney today to see how we can help provide guidance and help. Book a no-obligation legal consultation with a car accident attorney to ensure all your bases are covered. We will explain to you everything about our representation in plain language to ensure there are no surprises. We strive to provide honest communication and work hard to obtain a fair amount of compensation for our clients.